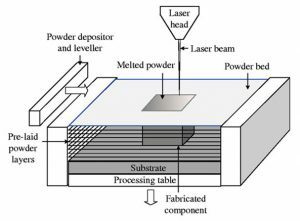 With selective laser melting thin layers of atomized fine metal powder are evenly distributed using a coating mechanism onto a substrate plate, usually metal, that is fastened to an indexing table that moves in the vertical (Z) axis. This takes place inside a chamber containing a tightly controlled atmosphere of inert gas, either argon or nitrogen at oxygen levels below 500 parts per million. 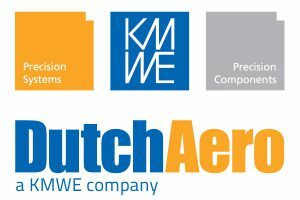 Once each layer has been distributed each 2D slice of the part geometry is fused by selectively applying the laser energy to the powder surface, by directing the focused laser beam using two high frequency scanning mirrors in the X and Y axes. The laser energy is intense enough to permit full melting (welding) of the particles to form solid metal. The process is repeated layer after layer until the part is complete.